Reincarnation is a beautiful concept. The ability to be able to start again, in a time and body different to your own. These manga are all filled with fantasy, restarts and a chance to achieve something greater than possible in an old life. Rudy is the son of famous adventurers. He has the ability to use powerful magic, even at his young and tender age. He even manages to successfully pull off a casting spell, even before knowing how to read properly. His parents are indeed proud, but the others around him are scared. They think his powers can be destructive and unlimited. However, his magical talent comes from him being reincarnated. In his past life, he was bullied, including by his family. In his past life, he never had the chance to feel or experience love. He finally gave up, with no reason to live. He is killed by a reckless truck driver one day. He is reincarnated into a world of magic, and he promises himself that he will become a better person than he ever was before. Now he has loving parents and a chance to be happy, so will his new life be better than his last? Athanasia is a beautiful young woman who is killed at the hands of her own father, Claude de Alger Obelia. He is a cold-hearted emperor. In actual fact, the story of Athanasia is just a bedtime story. That is until a young woman wakes up to find she has become the tragic princess Athanasia. She needs to figure out a plan to survive in her new world. Plan A would be to live quietly, hopefully staying under the emperor's radar, or plan B would be to somehow collect enough money to be able to escape the palace. Her last option is plan C, sweet-talking her way into her father’s favor. 3. Murabito desu ga Nani ka? The main character in this manga is killed one night by a reckless driver on his phone. As he lay dying, he complains that his life has ended and he is still a virgin. Instead of dying and meeting his maker, he is instead reincarnated to a different world, and given another chance at life. However, as he arrives in his new world, he cannot move at all. He soon realizes this is because he has been reincarnated as a sword. At first, he thinks of it as a good thing. He will never be hungry, and he doesn’t ever have to worry about responsibilities if he is left alone. But he decides he wants to be wielded. He is a magic sword, and he wants to find a master that will bring out all of his power. He waits for almost a lifetime for a master and is about to give up when one day a young lady with cat ears appears. She doesn’t seem like a worthy master, but the two are now on a journey that they would not have expected. Wei WuXian was the grandmaster of the Demonic Sect. He was hated by millions because of the chaos he created. He is brought to his death by being stabbed in the back by his dearest shidi, and is killed by clans that come together to overpower him. He then finds himself reincarnated into the body of a lunatic, abandoned by his clan. 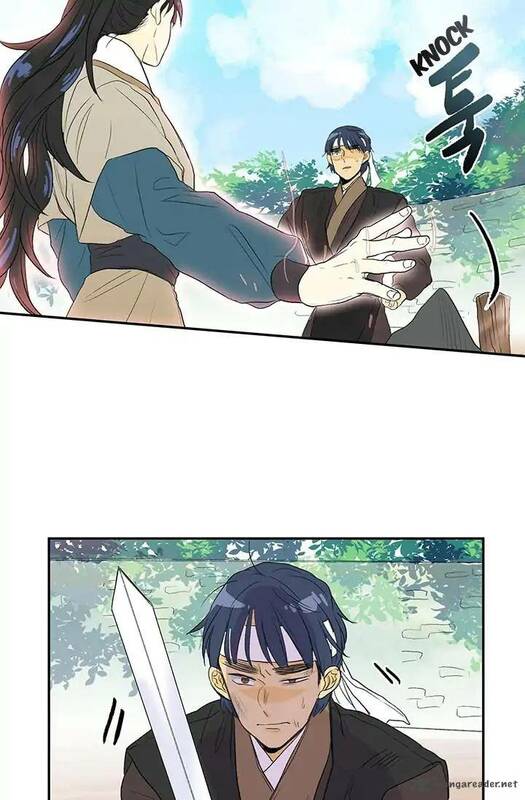 He is taken away by a cultivator among the clans, Lan Wangji, who also happens to be his archenemy. In Re: Monster, the hero is reincarnated into a goblin, and goblins are known as the weakest creatures in this RPG-like story setting. Luckily, he isn’t an ordinary goblin, he has some special powers that other goblins don’t have. While this helps him a lot, he is at a disadvantage by being the weakest creature around. He manages to make friends along the way, and he grows with every challenge that is thrown his way, growing his group of henchmen as he goes. It is a unique story with some really interesting characters. Some scenes are a little graphic, but it is worth the read overall. Mikami is a middle-aged man. His life really hasn’t gone exactly to plan. He has never had a girlfriend and he is stuck in a dead-end job. His life is tragically ended when he is stabbed to death in the middle of the street. He wakes up, finding himself at the center of a world that resembles a fantasy RPG. Unfortunately, he isn’t reincarnated as a powerful wizard or brave knight, but instead, he is reincarnated as slime. Can a slime become a hero? Or is his new life destined to be as disappointing as his last? Fall into a world of princesses and knights with Shiro no Koukoku Monogatari. The main character and hero in the story is reincarnated into the body of a man who was saved by a young noble, who also happens to be a lady. He is in good hands, under the protection of this noble, but the kingdom falls into turmoil. In his past life, he lost everything, even the woman that he loved the most. He vows to avoid doing the same in his new life. He is thrown down a path of having to save this new kingdom, changing the history of the land using his knowledge of this previous world. But the questions remain, who is this mysterious man, and where did he come from? King Grey rules over a world governed by martial arts. He has unrivaled strength, prestige and wealth. Despite all of this, he is all alone, always finding himself in solitude. Although he appears as a powerful, enigmatic and confident king, it is only a shell hiding a purposeless man. He dies, and is reincarnated into a world full of monsters and magic, he has a chance to re-do his life. He wants to right all the wrongs from his previous life. But to make things more interesting, the seemingly peaceful new world has a secret, underneath all the prosperity is a danger threatening to destroy everything he has worked for in his new world. He needs to defeat this evil and make sure his new life, and everything he has worked for, is protected and meaningful. The main character in this story is the strongest martial artist, but he is alone and has nobody to protect. He is accused of being a murderer, as well as a danger to humanity. Because of this, a team of elite warriors is sent to kill him. All members of this elite group are famous martial artists, who have their own talents and strengths, but none are as strong as the main character. Almost without hope, a monk sacrifices his life in order to make the team successful. The monk was actually an acquaintance of the hero, and the hero let his guard down, only wanting to suppress the monk, not kill him. However, this decision would come back to haunt him. He is reincarnated as a rural town’s chieftains son. He has a famous and influential father, so the pressure is on his shoulders to be successful. Being in an influential and well-known family, there are always threats wanting to harm him and his family, but his martial arts knowledge from his past will be what he needs to protect himself and his new family. Oda Sadatoshi and Oka Masaharu are both reincarnated together into the body of Balud Cornelius, a young noble, straight into a magical world. In his past life, Oda Sadatoshi was an accomplished general, he was feared because of his unpredictable strategies during war and his own fighting abilities. On the other hand, Oka Masaharu was an otaku. He hails from a modern world with innovative technologies and science. The two could not be more different. Together the two must work hand-in-hand to make Balud a successful and worthy man. Their individual skills and knowledge make it almost impossible for Balud not to succeed. 11. Hachinan tte, Sore wa Nai Deshou! A normal working man goes to bed one night but wakes up in the body of a young boy. To make things even more confusing, he is in a world, unlike modern Japan. There are kings and queens, just like in medieval times. After a couple of years, he has finally adapted to living in his new world. Luckily for him, he was reincarnated into the body of a son to a noble family, making life easy for him. They aren’t the richest noble family around, but they do have enough to properly raise a young child, giving him a proper education. He does keep his wits about him though, no matter how comfortable his new life is. He is now surrounded by swords and magic, and dangers he doesn’t understand. Will he end up being a hero in his new land, and will he accomplish great things? A normal employee in his previous life, Machio Hiraku is reincarnated into a fantasy world. In his past life, he neglected his health, which eventually led to his death. He never had the chance to enjoy his life as he was always working to try and survive. Instead of following a great and accomplishing hero-story of a normal reincarnation manga, Hiraku decides to live his new life peacefully, as a farmer. Something he always wanted to do in his past life. In this new world of magic, monsters, and mystery, will he be able to actually live out a peaceful life? The gods made a bit of a mess-up – they dropped a pot from the heavens and accidentally took the life of a young boy, Shou. The only upside to the situation is that Shou lived a lonely life, apart from his best friend who witnesses his death. Nobody would really notice that he was gone. Before his mother died, the two lived together but did not have a good relationship. She resented him, saying he only reminds her of the man who left her. Because of this, he decides to live differently in his new life, living a life his parents would be proud of. Due to the god's mistake ending up killing him, they have given him some cheats in compensation, to help make his new life a little bit easier. He finds himself in different situations, in which his new talents shine, and he is on his way to accomplishing amazing things. Renya is left dumbfounded, all of a sudden, a young woman pops out in front of him, claiming that he is dead and she is a god. Obviously, Renya doesn’t believe her at first but soon accepts his new fate. He agrees to be reincarnated into a fantasy world. In his past life, Renya was skilled in martial arts, giving him the confidence not to be scared in the new, magical world. Even though he trained every day in his past life and grew to old age, he was never able to test out his strength and skills. This reason is why the god chose him to bring about change in the new world. He is the ray of hope she needs in this world to stop it from falling into despair, and she believes he is more than capable of being that person. As he arrives in the new world, he is faced with his first challenge. He sees two women in the middle of the forest, surrounded by heavily armed men. Will he use his skills and strength to make this world a better one that his last? Give life a second chance with these reincarnation manga. They are full of do-overs and mystery, and there are enough to keep you going for a long time!